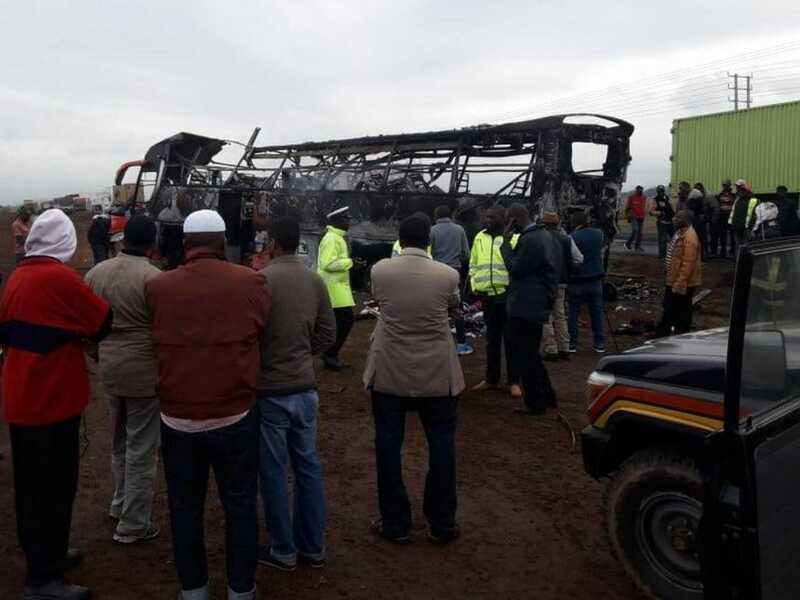 An accident occurred after a Buscar bus which was travelling from Nairobi collided with a lorry coming from Mombasa before bursting into flames. 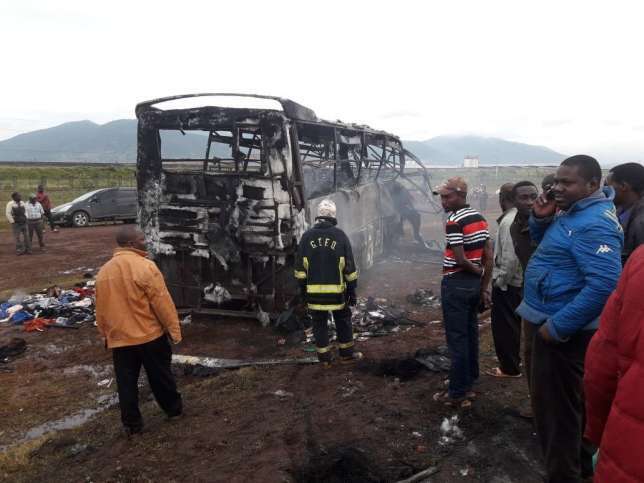 9 people died on the spot and 20 others injured in the road accident which occurred at Civicon area, near Emali, Makueni County. 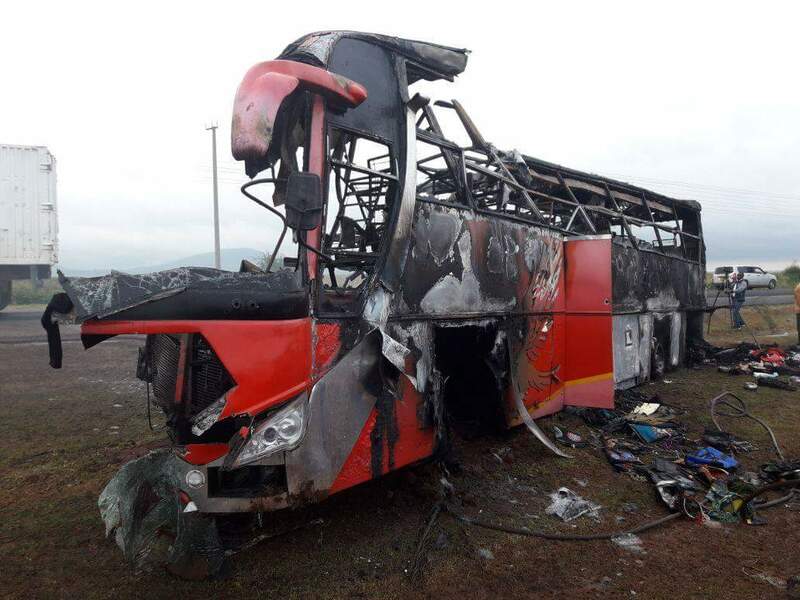 The bus had 39 passengers at the time when the unfortunate incident occurred. 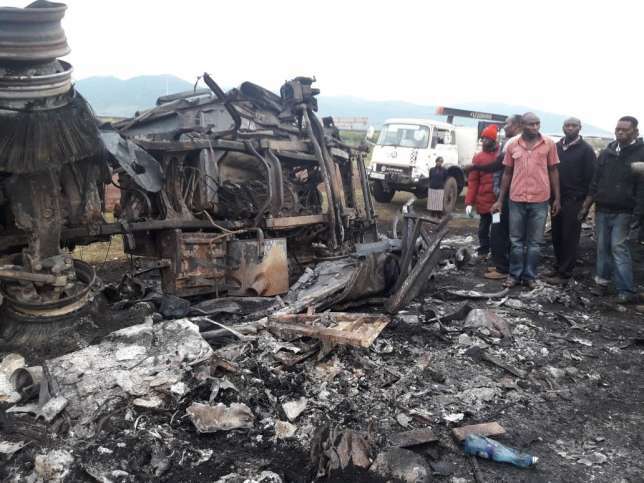 Makueni county commissioner Mohamed Maalim confirmed the accident adding that the injured were rushed to Kilome and Sultan Hamud hospitals in Emali while the deceased were taken to Makindu hospital mortuary.